Congratulations to Dr. Katherine Brown on becoming a Silver Fellow! In early 2018, Katherine created a social media plan to increase staff utilization of social media and to improve communication with stakeholders. The strategy outlined an approach to provide training for staff to learn about Twitter and create personal accounts that they'll maintain. She became a Bronze Fellow in September 2018. This month, Katherine submitted a Silver Fellow report – sharing success metrics and key observations. Dr. Brown serves as Director, Communities of Practice for the National Center for Medical Education, Development and Research. 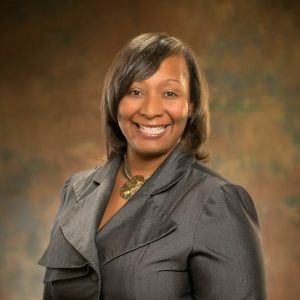 Her background includes working nationally and internationally with organizations, networks, and agencies, speaking on chronic diseases, health disparities and innovative strategies including faith-based health initiatives focused on vulnerable populations. In February 2019, she presented an MCSMN webinar on Transforming Medical Education and Clinical Practice to Give Voice to Vulnerable Populations, LGBTQ, and Homeless Persons. If you're interested in following in Katherine's footsteps, the first step is to complete our Social for Healthcare Certificate from Mayo Clinic and Hootsuite and then participate in Social Media Residency. If you're already a premium member of MCSMN, the online Certificate is included and you get a discounted rate for Residency. If not, the online certificate and a one-year premium individual membership are included in your Residency registration. The next residency session is September 23 in Jacksonville, FL. Our 2019 MCSMN Social Media Conference will be held October 22-23 in Rochester, MN.